This pairing is for you non-bakers out there! 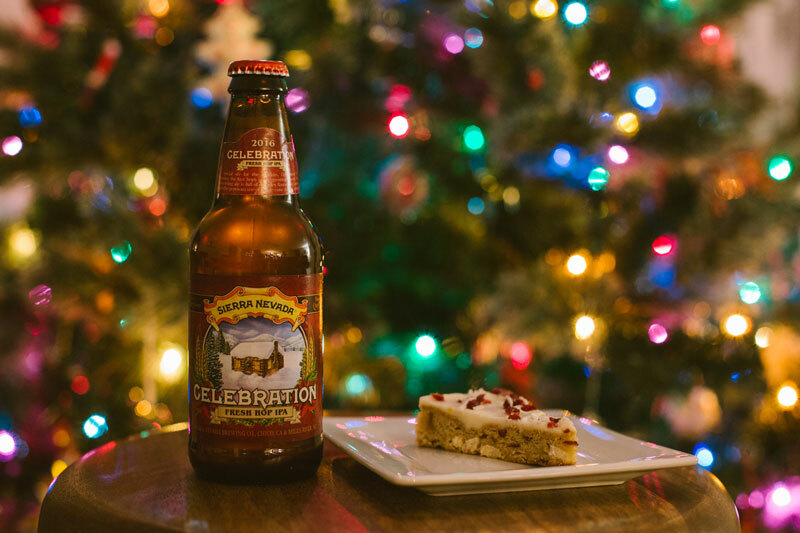 Celebration is a holiday Fresh Hop IPA packed with plenty of citrus flavored hops and aroma that Sierra Nevada only brews this time of year. 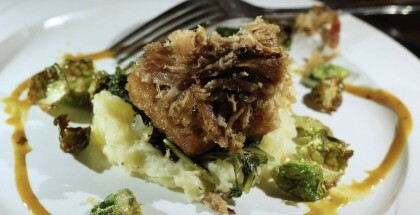 Now you may think pairing an IPA with a dessert item sounds weird but, trust me, this one works! The citrus in the hops in brought forward by the cranberry tartness of the Bliss Bar. The hops also cut through the richness of the cream cheese frosting quite nicely. Gahhh! I love this freaking beer, it is one of my absolute holiday favorites so I for sure had to include it in the pairing lineup this year! 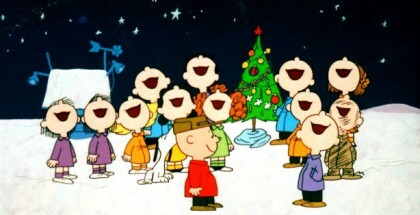 I also love the Beeroness’ blog! Have you read it yet? It’s a fantastic mecca of beer-infused food recipes, and these Flourless Chocolate Stout Cookies surely did not disappoint. Because this recipe calls for beer in the cookies, I added some of the Bells Special Double Cream Stout that I paired with other cookies below. 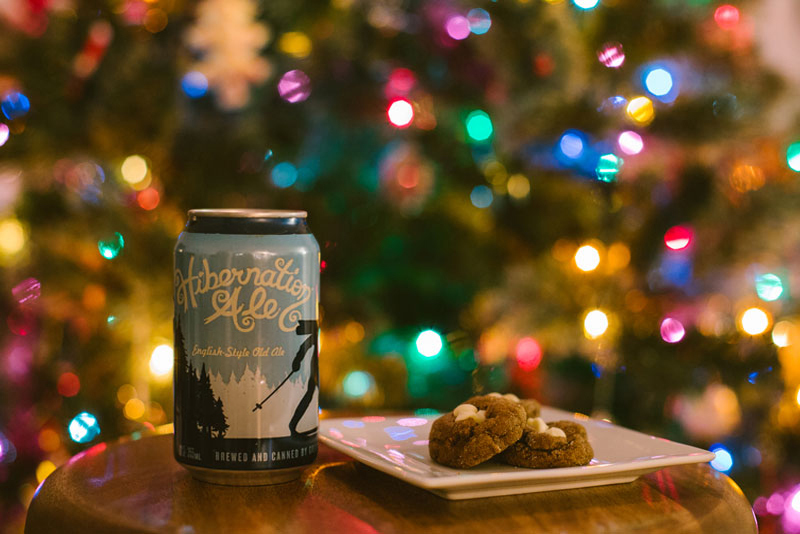 Since we are talking about basically having two beers with this cookie, because of the recipe addition, I wasn’t sure which beer would be best for the job, but Old Jubilation did pair nicely with these cookies. This beer has quite a bit of dark fruit flavors from the yeast and plenty of toffee-like roast as well. The beer also gets balanced by the intense bittersweet chocolate flavors from the cookie. It is quite nice. Arnott’s is a cookie company from Australia which makes a variety of “biscuits” in different flavors. I am a fan of these chocolate mint ones and often pick them up at my local World Market, but you can also find them on Amazon. Think of a Girl Stout thin mint, same sort of flavor but a better texture and yummier dark chocolate. Mint is always one of those challenge flavors to pair with most anything (other than chocolate, fruit or rum) with because it is so strong and overpowering. However, the malt in the Double Cream Stout surely stood up to the minty challenge. Both have a nice cocoa sweetness alone and even more so when they are together. 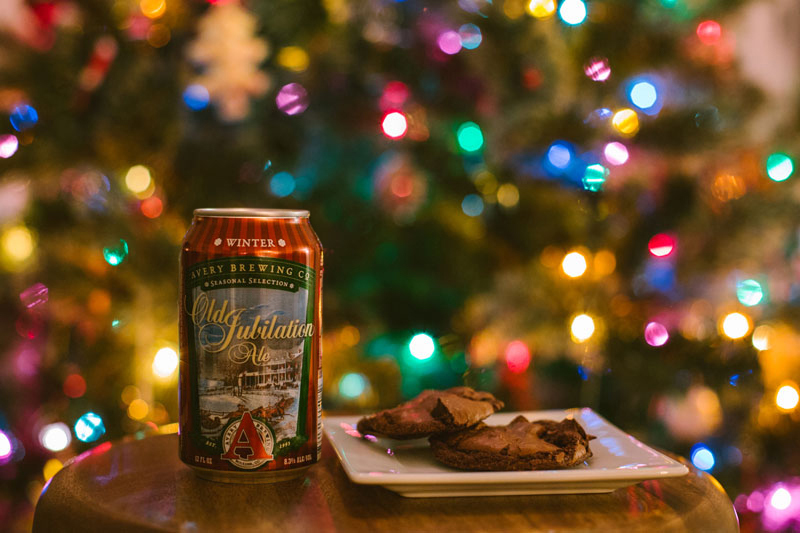 Hibernation is one of those true winter warmer holiday favorites that is perfect for cellaring for a few Christmases and then pulling out to enjoy a few years later. Though I have enjoyed vertical tastings of this beer in the past the one I used for the pairing was this year’s edition. Because Hibernation is an Old Ale style it has plenty of those fruity esters plus molasses and roast that is almost smoky which paired perfectly with these White Chocolate Ginger Drops. The backbone of the cookies packed with molasses with plenty of warming ginger zing to balance with those essences mentioned above from the beer. Together, the higher ABV of the beer and the ginger in the cookie almost have a warming effect in your mouth. Delightful. In case you aren’t familiar with this particular beer, Bender is a unique Oatmeal Brown Ale with plenty of caramel and chocolate flavors in its malty roast. Paired with the buttery and nuttiness of the pecan bars, it makes the crust seem almost impossibly more buttery somehow. Mmmm butter. 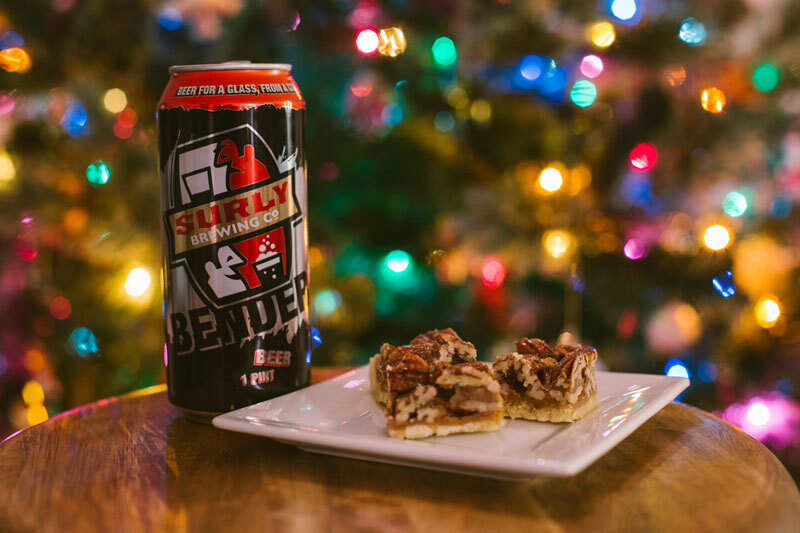 This beer also has a little bit of hoppiness kick which cuts through the butter a little bit and makes the pecans sing. Because they are both well into the caramel and nutty flavor spectrum, these two make a great team! Have you ever watched Flight of the Conchords? These biscuits are the ones that they are always trying to have shipped to them from New Zealand. Anzac Biscuits are actually Australian but are also popular in New Zealand (How did I end up with two Australian cookies on this pairing? Crazy!) and have a long history with the culture of this region going back to World War I. The cookies themselves are crunchy, sweet and quite toffee flavor forward; kind of like an oatmeal cookie without raisins but with a touch of coconut flavor instead. I also picked these up at my local World Market. 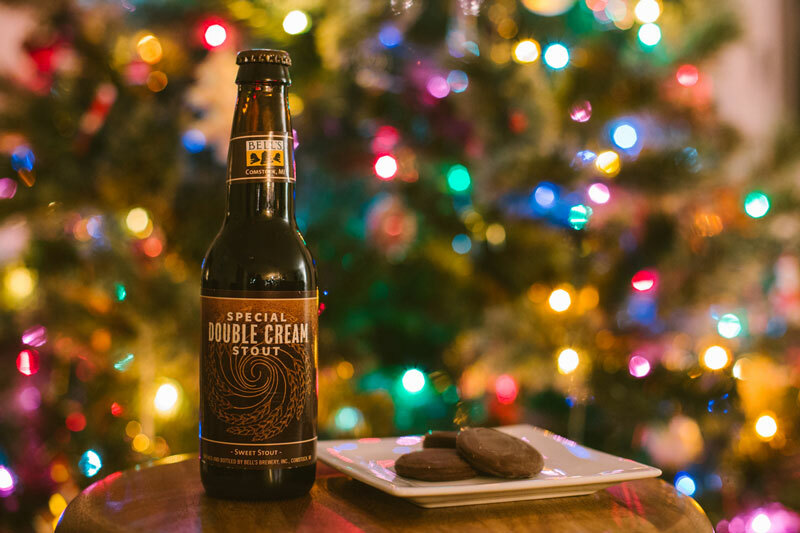 Both the cookie and the beer have nice caramel notes to them. 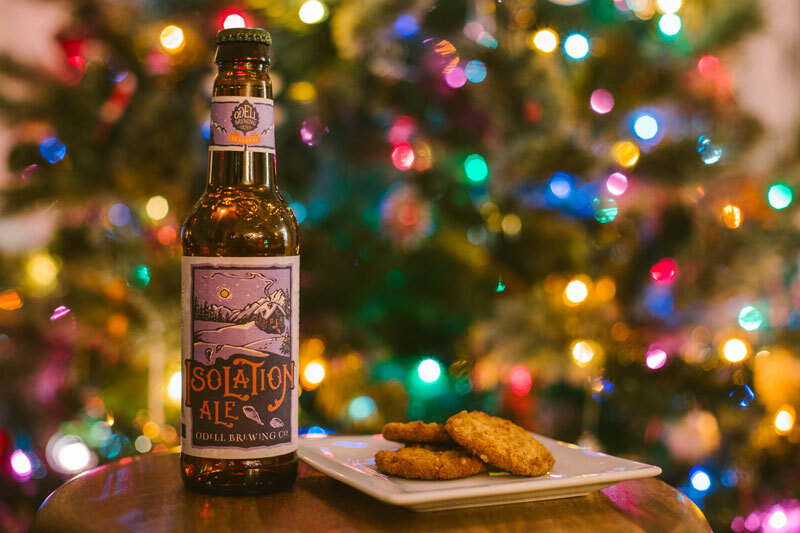 Isolation also has a touch of hoppiness which brings out the sweetness of the cookie even a bit more than on its own, and vise versa with the beer! 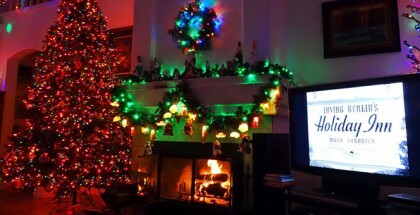 Ultimate 6er | Beer & Christmas Movie Pairing... December 23, 2015 | K.C.